Leeds, West Yorkshire; it’s hardly what you would call home to a tropical climate. But even on a cold and miserable day in one small part of Leeds, the sun is always shining and the humidity is high. I’m referring to Tropical World in Roundhay Park. If you haven’t yet discovered Tropical World it’s a great place to visit for a couple of hours or so. If the sun is shining outside too, you can then take advantage of the fantastic Roundhay Park grounds. Alternatively if the weather is bad, there’s a lovely and popular pub over the road which serves food; the Roundhay Fox. In fact you should visit there regardless of the weather. These are just a few photographs I took with my iPhone 4 – we were too busy having fun to take lots of photos! 🙂 On leaving Tropical World we were confronted with a monsoon-like rainstorm! That just added to our adventure though. Prices are currently £3.50 for adults, £2.35 for 5-15 year olds and under 5s are free with various other discounts available. So for under £6 for my nephew and I, it was a great bargain! 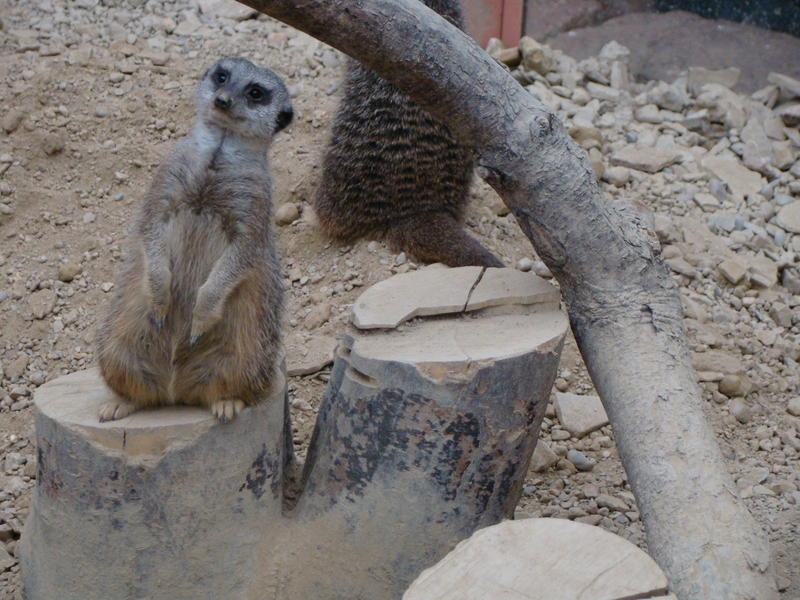 Actually, it cost me a little more…we couldn’t leave without “adopting” a cute little meerkat from the gift shop. 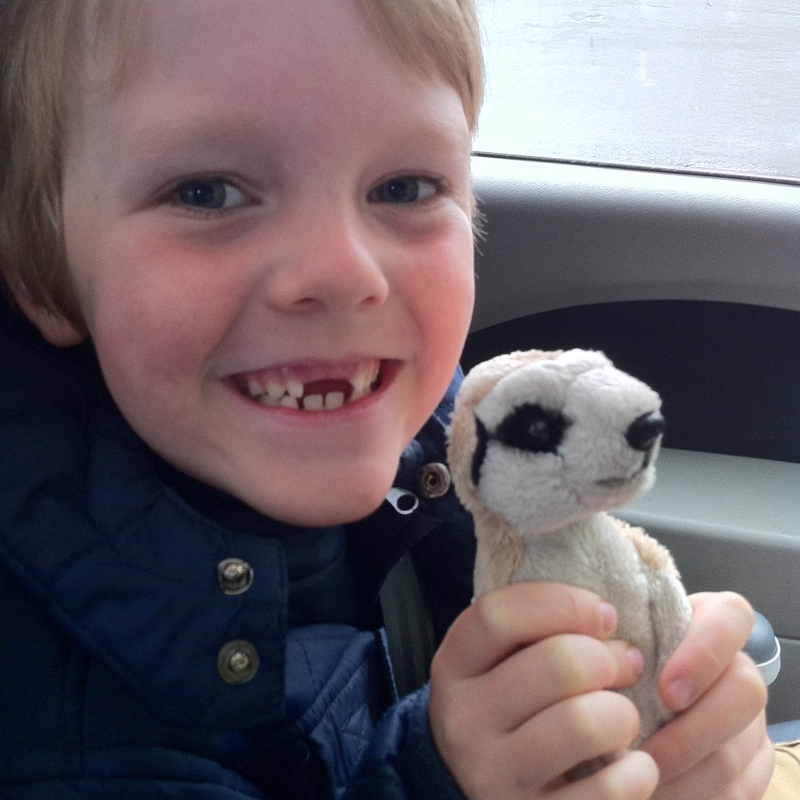 Minty the Meerkat is now enjoying life in a colder climate in York with George. If you like tons of value and a small price along with a guaranteed hot climate, a little education, conservation and a lot of fun, then Tropical World delivers. Dress in layers though because it really is hot and humid inside and Leeds’ less-than-tropical climate is likely to be a lot cooler when your visit is over! George absolutely loved it too; not his first visit by any means, like me, he also loves to visit the meerkats (and the bats!) as often as he can! Disclaimer: I have not been asked to write this review.